The 2006 Yamaha WaveRunner FX Cruiser High Output is a 3-Passenger Style Personal Watercraft equipped with an 1052cc, Water (Open Loop) Cooled, Longitudinal In-Line, DOHC, 4-Stroke Engine. It has a 3-blade Stainless Steel impeller and puts out 160HP. The WaveRunner FX Cruiser High Output has a Direct Drive Transmission. This WaveRunner FX PWC weighs 783 lbs. The WaveRunner FX Cruiser High Output was introduced in 2004 and is Upgraded for 2006. It includes a 12 month Limited warranty. The WaveRunner FX Cruiser High Output engine includes Electric Start and an impressive 11.9:1 compression ratio. The fuel capacity is 18.5 gallons. 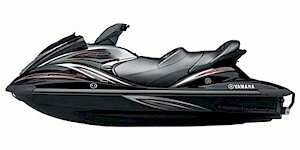 The WaveRunner FX Cruiser High Output is 131.5 inches long, 48.4 inches wide, and 45.7 inches tall. It has a Manual trim system. This is a Ultimate Performance PWC with a MSRP of $11099. 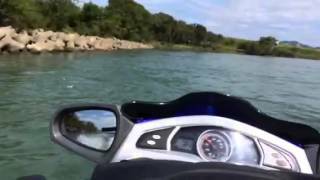 It is from the FX line of Yamaha Personal Watercraft. The recommended minimum age to operate this PWC is 16. The base price of the 2006 Yamaha WaveRunner FX Cruiser High Output Personal Watercraft is $11099. This is $100.00 more expensive than its competition. The Longitudinal In-Line engine in the 2006 Yamaha WaveRunner FX Cruiser High Output Personal Watercraft has a displacement of 1052 cc which is 20.39% less than its competition. The 2006 Yamaha WaveRunner FX Cruiser High Output Personal Watercraft weighs 783 lbs which is 6.47% less than other 3-Passenger models. 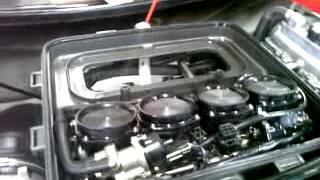 How big is the 2006 Yamaha WaveRunner FX Cruiser High Output's engine? 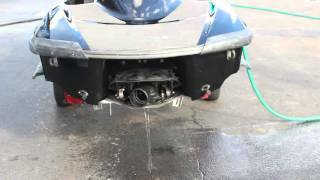 How much is the 2006 Yamaha WaveRunner FX Cruiser High Output? Has the 2006 Yamaha WaveRunner FX Cruiser High Output won any awards? Does the 2006 Yamaha WaveRunner FX Cruiser High Output get good gas mileage? 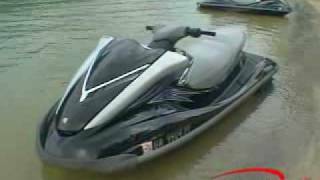 How big is the 2006 Yamaha WaveRunner FX Cruiser High Output? 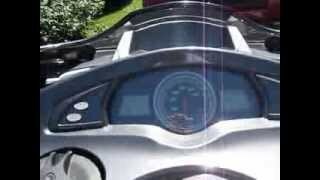 How much does the 2006 Yamaha WaveRunner FX Cruiser High Output weigh? 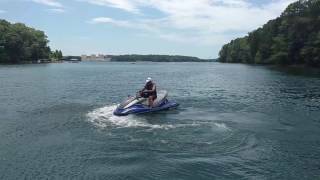 How fast is the 2006 Yamaha WaveRunner FX Cruiser High Output? What is the cheapest price for a 2006 Yamaha WaveRunner FX Cruiser High Output? What is the dealer cost/invoice price for a 2006 Yamaha WaveRunner FX Cruiser High Output? 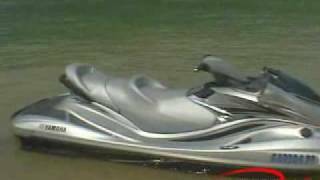 What models compete with the 2006 Yamaha WaveRunner FX Cruiser High Output? 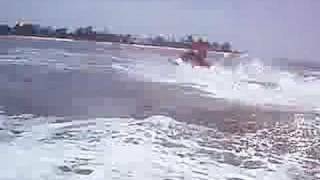 Where can I view classifieds and search for a used Yamaha WaveRunner FX Cruiser High Output? What makes the 2006 Yamaha WaveRunner FX Cruiser High Output different from its competitors? Where can I find parts and accessories for the Yamaha WaveRunner FX Cruiser High Output? 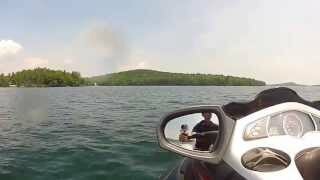 Where can I find 2006 Yamaha WaveRunner FX Cruiser High Output videos? What are the current incentives, sales, or promotions for the 2006 Yamaha WaveRunner FX Cruiser High Output? 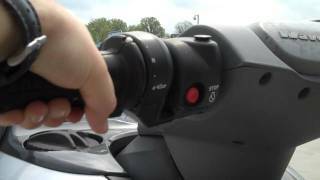 How do I view a Yamaha WaveRunner FX Cruiser High Output brochure?